Known as The Interior, this area offers a different flavour of Oman with beautiful rugged mountains and fascinating villages, some accessible only by 4WD vehicles. Honoured as the capital of Oman during the 6th and 7th century, Nizwa is one of the oldest cities of the Sultanate. Blessed with three falajes, the town is filled with plantations and orchids. The magnificent Nizwa fort is one of the architectural marvels, which attracts visitors from all over the world. The Nizwa souq with its distinct Omani character, showcases a wonderful array of silver jewellery, antiques, leather goods and household utensils. A quick walk around the town can give you a true flavour of traditional Omani culture. Perched 2,000 metres above sea level, Alila Jabal Akhdar overlooks a dramatic gorge, surrounded by awe-inspiring views of the Al Hajar Mountains and provides the perfect base for exploring the region’s rugged landscape. This new luxury resort overlooking a gorge offers a stunning location from which to explore the surrounding mountains. Its larger size ensures a good selection of rooms and has facilities to suit couples, friends and families. The View is located at 1,400 metres above sea level, driving up in to the mountains through 8 kms of winding road from Al Hamra to Hail Al Shas. It is a perfect getaway with 30 unusual rooms overlooking the valley below. 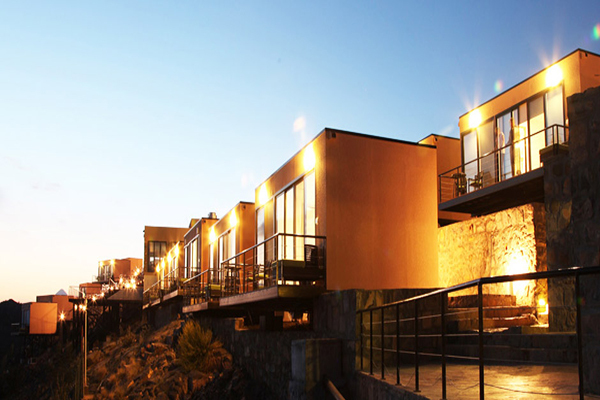 Formerly the Sahab Hotel, the Time Reversal Spa is set on the Saiq Plateau in the Jabal Akhdar mountains. 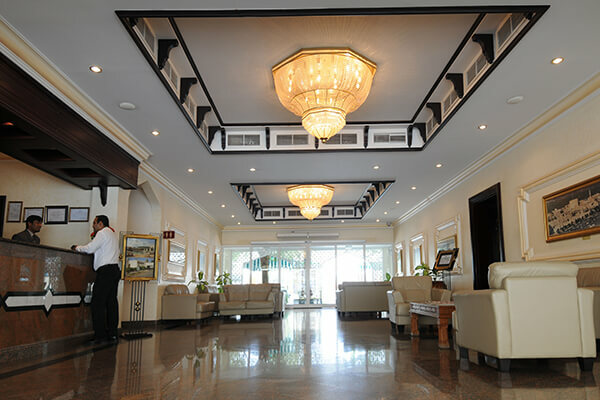 It provides a good value option with comfortable rooms, a spa and a centre for relaxation and rehabilitation. 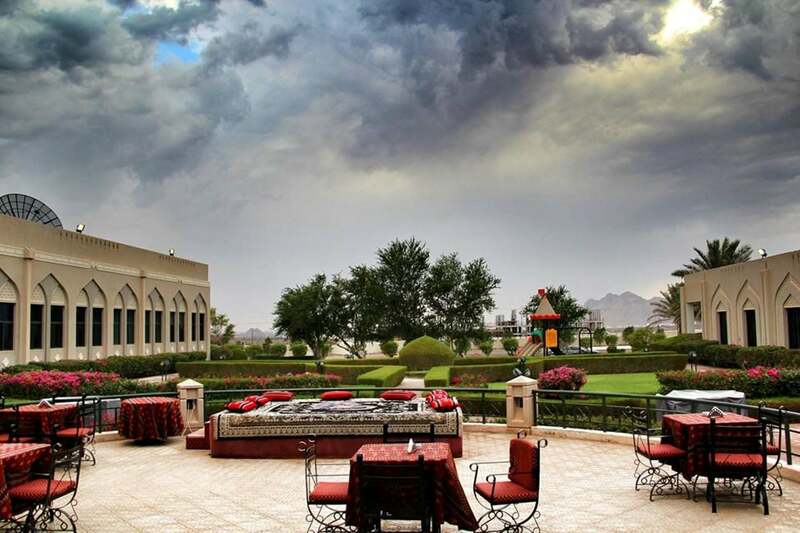 A short distance from Nizwa city, the Golden Tulip Nizwa hotel is set amidst the rugged Hajar Mountains and is ideally located for tours into Oman’s Interior or to visit Nizwa with its souq and Goat market. 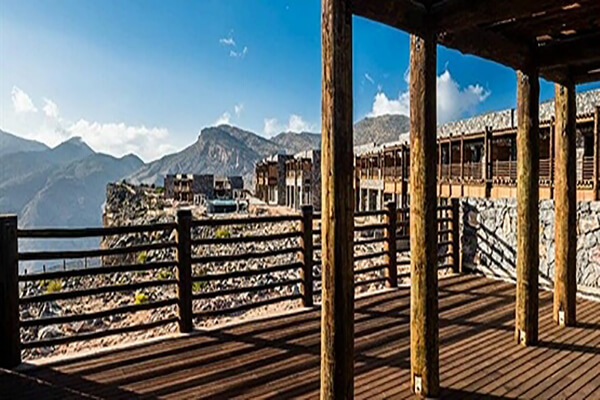 The Falaj Daris Hotel is ideally located just about 4 Kms away from Nizwa town and provides a convenient base to explore the town, visit the Goat market and fascinating souq or head in to the surrounding mountains.